Did you know Serenbe’s protected green space (more than 700 of the 1,000+ acres) isn’t just a farm, parks and “greenspace”? Serenbe also has expansive forests, and connecting each of our neighborhood Hamlets to those forests are more that 15 miles of trails. These trails make walking easier than driving between shops and homes and provide wellness as an everyday activity for residents. The Serenbe trails are also perfect for running. Typically, they're not open to the public - it's an amenity for residents and Inn at Serenbe guests - but twice a year visitors are invited to run the Serenbe Trail Race. 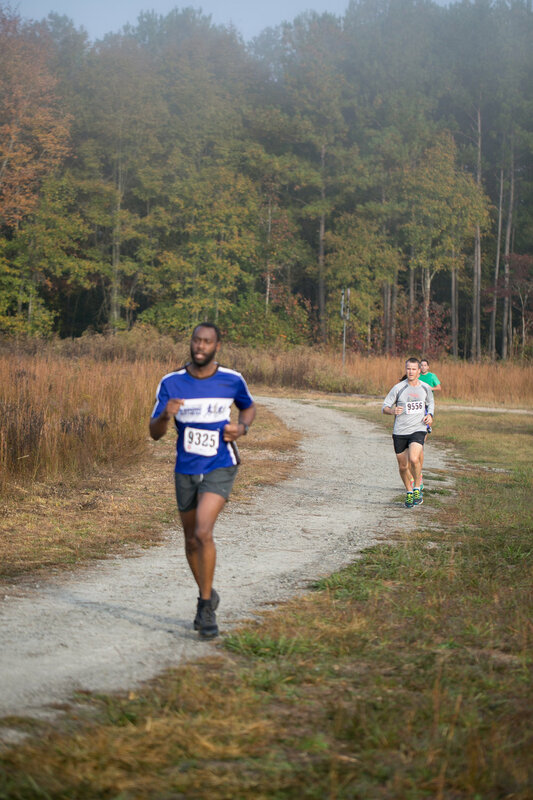 The next race is scheduled for Saturday, November 3, and with that date fast approaching we've gathered some tips and tricks from Serenbe trail runners. Trails mean rocks, sticks, roots, holes and more environmental "roadblocks," so core balance and ankle stability are key. Running outdoors means hills and curves that a treadmill can't prepare you for. Run outside with long strides and high knees, and practice using your arms to help you run uphill. And if you can avoid city streets (aka ALL THAT CAR EXHAUST! ), the better. And of course, always make sure you're well hydrated throughout your training then especially the week leading up to the Serenbe Trail Race. See you at the finish line! Register for the Serenbe Fall Trail Race 5K/15K at serenbetrailrace.com.